The railroad has an obligation to furnish railroad workers a safe place to work, even during bad weather conditions. Experienced FELA lawyers share information about these laws. The railroads have an obligation to furnish railroad workers a reasonably safe place to work and reasonably safe equipment with which to work. As winter approaches, railroad workers in many areas of the U.S. are required to work in snowy and icy conditions. When the railroads knew or should have known of dangerous footing conditions caused by the ice and snow, the railroads have an obligation to remove the ice and snow to provide safe footing for the workers. Many injuries occur when the railroad fails to clear walkways and parking lots. The railroad knows of the slippery conditions but sends the workers to those areas to work. 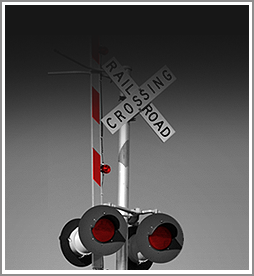 Other dangers that cause railroad worker injuries are iced handrails and handholds on engines and cars. This creates unsafe conditions and an injured worker can collect for injuries if the railroad knew or should have known of these iced over conditions. Experienced FELA injury lawyers can help with workers injury claims caused by winter weather conditions. The railroads often claim the snow and icy conditions are beyond their control, an act of God defense. The truth of the matter is the railroads have a duty to exercise reasonable care to clear such conditions before sending railroad workers into such areas. There are many legal precedents known to experienced FELA railroad injury lawyers, Eddie Wilson and Francis Hajek, which hold the railroads responsible for such injuries. Wilson and Hajek have combined actual railroad experience with trial experience which led to their designation by major rail unions and recognition as two of the top railroad injury lawyers on the east coast. Railroad workers can collect for injuries. Call the law firm of Wilson & Hajek.